ALL major PSUs posted a healthy profit during the first quarter of the current fiscal ended June. 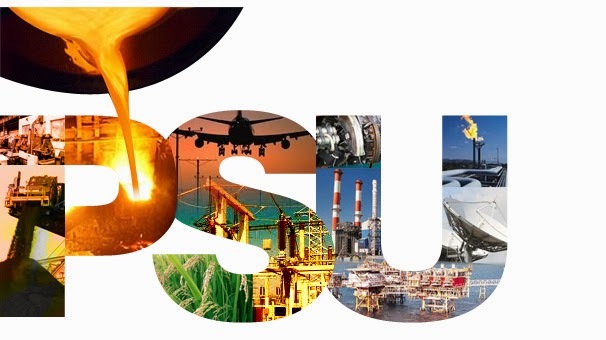 (Q1 of 2018-19 fiscal) All Maharatna PSUs including ONGC, NTPC, SAIL, BHEL etc have recorded a healthy growth due to a host of conducive factors. Here is a snapshot. Rs 6,143.88 crore in the first quarter of the 2018-19 fiscal was 58.1% higher than Rs 3,884.73 crore in the year-ago period, Oil and Natural Gas Corp (ONGC) said in a statement here. The net profit is highest since December 2013 when earnings had hit Rs 7,126 crore. ONGC realised $71.48 for every barrel of crude oil it produced in the April-June quarter of the current fiscal, up 47.6% over $48.42 a barrel in the year-ago period. The country’s largest oil and gas producer said it deposited Rs ₹2,695 crore service tax and GST under protest as it believes such taxes are not applicable on royalty paid by the firm to the government. State-run Hindustan Petroleum Corporation Ltd (HPCL) has posted an 86 per cent rise in net profit for the first quarter of the current financial year to Rs 17.19 billion backed by higher refining margins. This is compared to a net profit of Rs 9.25 billion during the April to June quarter of 2017-18. The PSU’s revenue also increased to Rs 729.23 billion as compared Rs 598.91 billion last year. The combined gross refinery margin during the quarter was $7.15 a barrel versus $5.86 a barrel during the corresponding quarter last year. "The increase in profit is primarily due to higher refining margins due to inventory gains and also due to increased refining throughput and sales volume compared to last year," HPCL Chairman and Managing Director M K Surana told the media. During the quarter under review, the company had inventory gains to the tune of Rs 19 billion in refining and marketing. The country’s largest steel maker SAIL reported Rs 540.43 crore standalone net profit for the first quarter ended 30 June. The Maharatna PSU had posted a standalone net loss of Rs 801.38 crore in the corresponding quarter of the preceding fiscal, Steel Authority of India Ltd (SAIL) said in a regulatory filing. In April-June 2018, its total income increased to Rs 16,004.95 crore from Rs 13,072.77 crore in the year-ago period. “Operational performance of the company has recorded improvement over the past many quarters and this trend is likely to continue. SAIL has taken several new initiatives which will help the company in improving its physical and financial performance,” SAIL chairman Saraswati Prasad said in a statement. "SAIL has taken several new initiatives which will help the company in improving its physical and financial performance,” the SAIL chairman added. State-run Bharat Heavy Electricals Limited (BHEL) has reported a 93 per cent jump in its net profit for the first quarter at Rs 156 crore compared to Rs 81 crore in corresponding period last year on the back of higher sales. BHEL recorded 8 per cent growth in its turnover at Rs 5,790 crore in the last quarter against Rs 5,355 crore in the corresponding period last year, an official statement said. The order booking increased by 2.5 times to Rs 4,371 crore, compared to Rs 1,744 crore in the corresponding quarter last year. State-run NTPC Ltd, India’s largest power generator, said that fiscal first-quarter net profit dipped 1.14 percent from a year earlier period, even as it benefited from higher electricity output and improved efficiency. The PSU registered a net profit of Rs 2,588.14 crore for the quarter as compared to Rs 2,618.17 crore posted for the corresponding period last fiscal on account of other income such as interest payment received. It also posted its highest quarterly electricity generation, suggesting a recovery in the country’s electricity demand. NTPC, which has an installed capacity of 53651 MW posted a 11.18% increase in total income to Rs 22,839.98 crore for the first quarter as compared to Rs 20,541.93 crore in the corresponding quarter last year.